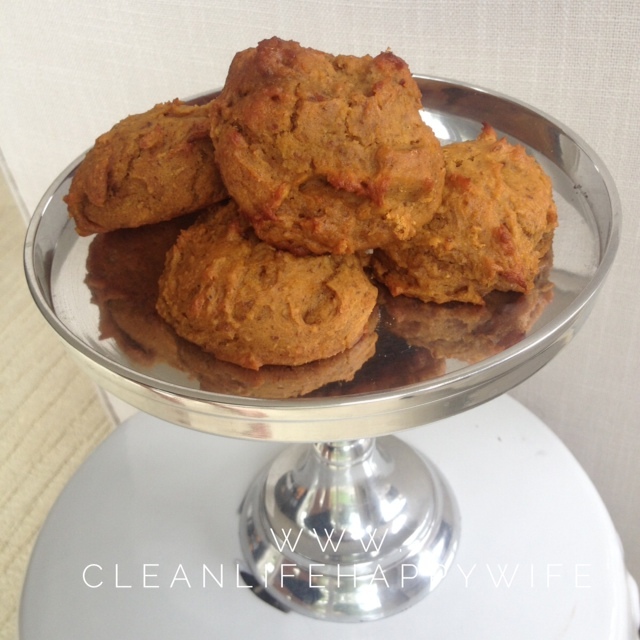 I was pretty excited about the Clean Pumpkin Scone Recipe I was going to post for you today! Last night I mixed up all of the ingredients and popped them into the oven. I was trying a brand new recipe and I seemed to be off to a good start because my kitchen smelled AMAZING!! My 6 year old daughter came running to the kitchen asking what I was making because they smelled soooo good! When the timer started to buzz and I pulled them out they looked great too! They looked light and fluffy and were golden brown on the edges. My daughter was begging for one before bed, but I told her she had to wait until the morning when they were cooled off, and assured her that I would pack one in her lunch. This morning went just the same way that every Mother with school aged children goes. It was a blur of cereal, uniforms, homework folders, lunch bags and toothbrushes. After I dropped my kids off at school I returned to my house and saw the glorious pumpkin scones sitting on my countertop. I smiled to myself. “Today was going to be a good day”. I put on a pot of tea, and placed the scone on a plate. I admit, I was probably WAY too excited to eat that scone! I poured my tea, sat on my couch, exhaled and took my first bite. The worst part is that I remembered packing one in my daughters lunch this morning! Poor girl! Whoopsie! I’m sure that everyone who has endeavoured to eat “clean” has had experiences just like this! If you are starting a clean eating program and you are feeling like there is nothing good to eat! Hang in there! It really does get better! If you are feeling like it’s way too much work, the food is gross and it’s too time consuming- you are not alone! You CAN find amazingly delicious recipes! They are out there! But you may need to go through a few bad ones to find the good ones! Don’t give up! The rewards for fuelling your body with nutrition rich foods are worth it! If you are feeling like everyone else seems to have this clean eating thing down while you are just limping along- you are not alone! We ALL experience moments like that! You CAN DO IT!! Don’t give up! If a recipe seems too difficult or doesn’t taste good- try something else!! Keep going!! Yes! I’ve had many a meal end up in the garbage!!! haha It’s fun experimenting and even more fun when you find something that’s really great! It makes all of the fails worth it! 🙂 thanks for reading! !